Liz Jackson is a sessional lecturer for the Education for Sustainability Masters (EfS) in the School of Law and Social Sciences. She specialises in understanding different ways of thinking and learning and how they can be applied to analysing values and culturally dependent approaches to sustainability, with a particular focus on social and environmental justice and human rights. Liz has tutored on the EfS Masters since 2007, starting while she was still working with the conservation charity, WWF-UK. Here she specialised in education, looking at how EfS practice and knowledge could be embedded in schools through teacher development and a whole school approach through school leadership. This work included developing online learning, supporting university programmes and undertaking research for the National College for School Leadership on models of leadership which promote sustainable schools. Prior to working for WWF-UK, Liz taught biology and science in a large state comprehensive for 12 years. She also has eight years experience of work within the communications business. Within the Education for Sustainability (EfS) Masters Liz Jackson tutors Module 2 and 5 and supervises dissertations, usually with an education focus, both formal and community based. The EfS course is a distance learning course and requires novel approaches to curriculum development and tutoring. Liz has personal experience of studying through distance learning as she completed a Masters in Science with the Open University in 2001, so can empathise with the difficulties students based off-campus have in their studies. 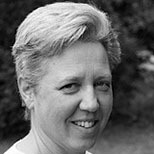 In 2006/7 Liz Jackson led a research project for the National College of School Leadership (NCSL) into models and practice of leadership which enabled a whole school approach to sustainability, resulting in a published report and further research work developing communities of practice across England. Recommendations were also included in leadership courses developed by NCSL. Following an intensive 9-month practical course at the Chippendale School of Furniture in 2012 Liz Jackson established her business on the north west coast of Scotland as a cabinet maker and furniture restorer, working with locally, sustainably sourced hardwoods. She is also a keen gardener and naturalist and is a member of the Wester Ross Biosphere as well as an occasional scuba diver, both in the UK and warmer waters. As an active member of the local Episcopalian church, she is currently the Vestry’s Synod Representative.